What is a Google My Business Store Code? 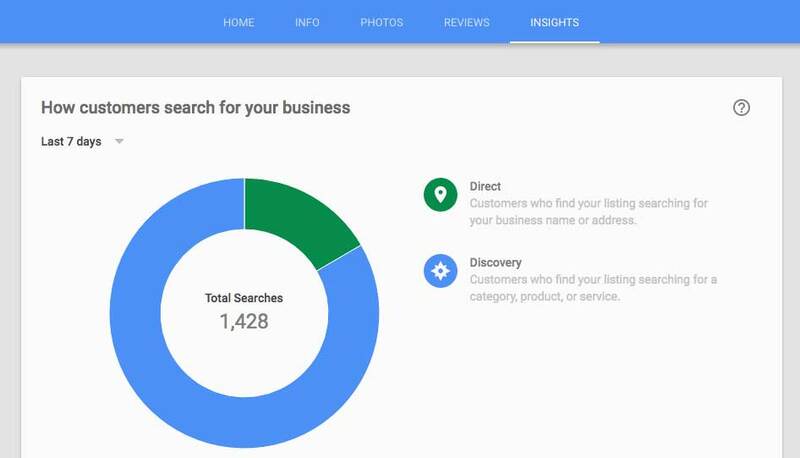 Also known as GMB, Google My Business launched in 2014 and has quickly become one of the largest business directories online with its integration in Google Search and Google Maps. Any business type can create a GMB profile to manage their business information and optimize their local SEO. 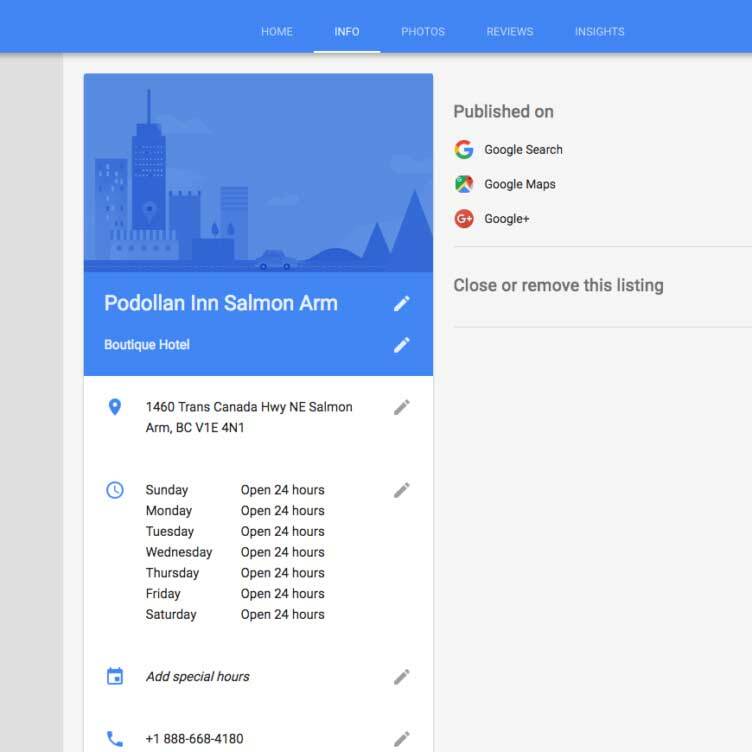 Businesses that have a storefront can update their store hours, address, and contact information to provide the most accurate and up-to-date information for potential customers that search in Google. 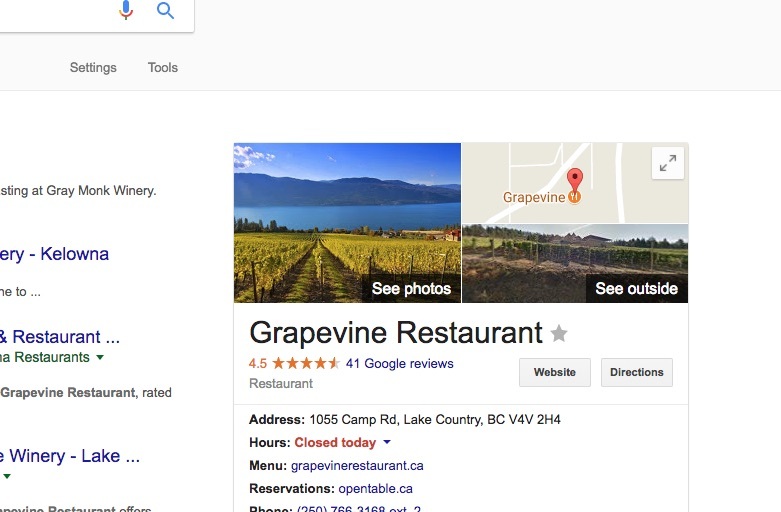 Potential customers turn to Google Search at different points in their buying cycle, whether they are looking for more broad information like “things to do in Canmore” to more specific requests like your business name. Your local business is indexed and interpreted by Google based on the information Google has. If Google has accurate, up to date information on your business it will be able to do a better job matching your business with relevant search queries. Both are important, and GMB plays an important role in the search visibility of these 2 types of searches. Search Engine Optimization (SEO) is more complex than ranking your business on GMB alone, but by optimizing your GMB page Google will have more accurate information on your business category and association with your website to help with non-brand search. Brand Search is your business name, and variants of your business name. Non-brand search is more broad, made up of search terms that are relevant to your business. 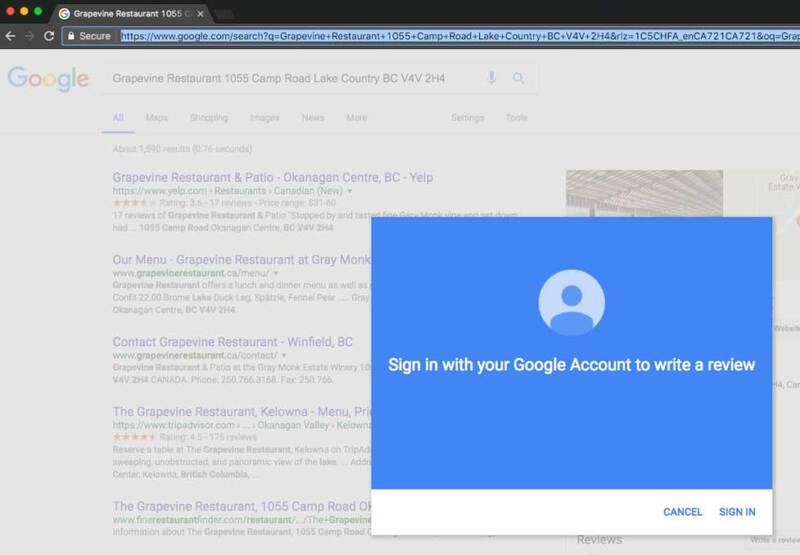 Once the account is created, you will have a Gmail account (ex. 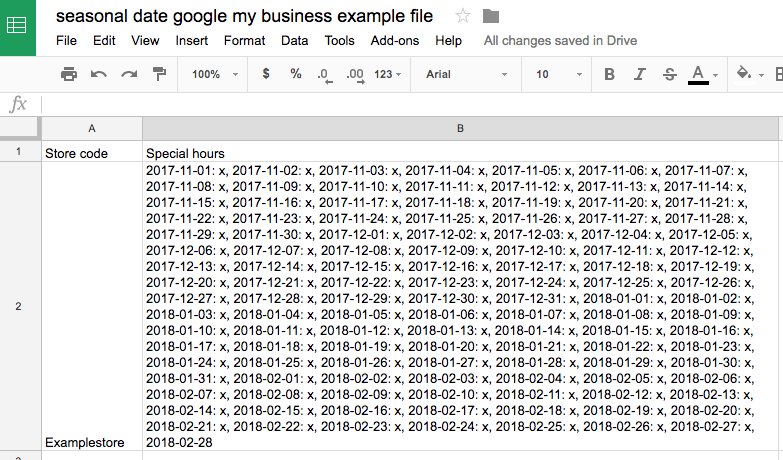 “yourbusiness@gmail.com”) for your GMB, and if your business has Google Analytics, Google AdWords, or other Google products you can use the same account to stay organized, and link them together if needed. Now that we have a Google Account, we can check to see if a GMB page already exists for your business. Sometime GMB pages will be automatically created if Google can see other social media profiles or your business information on trusted websites. 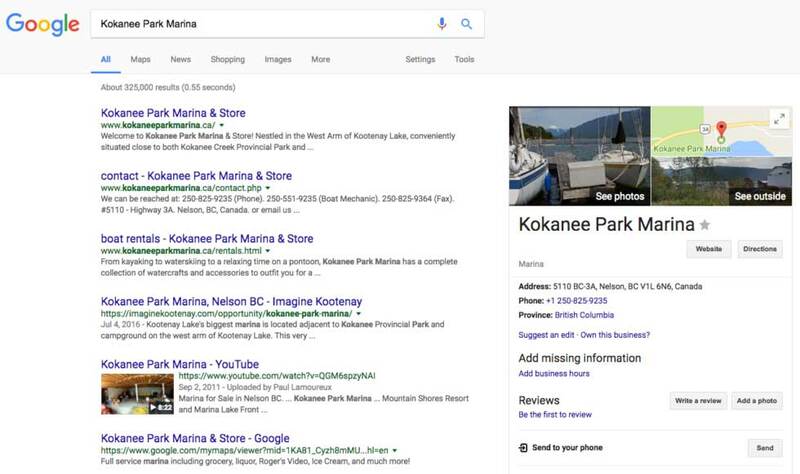 The example below displays an unclaimed Google My Business profile from Kokanee Park Marina. By clicking the “Own this business?” text linking in the profile, you will be able to claim the page, verify it by phone or postcard, and begin updating and making changes to the page. Note: sometimes adding “google plus” or the city to your business name in your search query may help discover your GMB knowledge panel. Now that we have a verified page (or pending via sent postcard) we can begin filling out the profile with useful information to improve the quality of this page. Start with the “info” tab and check to make sure all your business information is correct. Under the “photos” tab you can upload you business logo, profile and cover photo. These images are important for the less popular Google Plus, but they can also be used in your GMB profile. Reviews can be managed from the same dashboard. If you have positive (or negative) reviews you may want to respond to them, to let everyone know your business values feedback and you’re active on this page. The Insights tab let you know how your GMB page is being used and its visibility in Google Search and Maps. Google refers to “Direct” and “Discovery” as the brand and non-brand search terms explained earlier. The reviews your business collects on your GMB page are powerful for social proof and building trust with potential customers. Google treats reviews as a kind of 3rd party testimonial about your business experience, so encouraging your happy customers to leave a review on your GMB is a win-win. The best way to generate a review link for your GMB page is to find your business page in Google, and click the “reviews” linked text. From there, click “Write a Review” and copy the URL in the address bar. This URL can then be shared in an email to your customers as a part of your follow up. Note: your customers will need a Google (@gmail.com) Account in order to leave a Google review. Create your own short URL to make it super easy for your customers to share their experience on your GMB page. Some of our clients use this same practice in an automated email follow up or by reaching out personally to ask for a review. 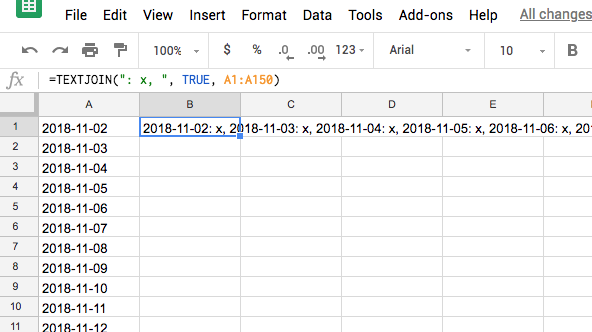 If you’re a seasonal business, you probably have found it’s almost impossible to communicate your season dates to your customers through Google My Business. Fret no more: the easiest way to update your store hours for seasonally closed businesses is here. First, ensure your location in Google My Business has regular hours & a ‘store code’ entered. If these don’t exist, we will have errors later on. Once all your locations are claimed and verified, you can assign a store code to each location and make bulk changes to the store hours, cover image, business category and more. A store code or shop code in the Google My Business dashboard is only viewable from the person managing the locations (potential customers don’t see this). Google encourages you to assign a store code to your page once it’s verified, and it doesn’t really serve a purpose other than uniquely identifying your store location for local inventory ads. Businesses with multiple locations can run Google shopping ads and have the feed refer to their Google My Business listing store codes to display local inventory information. This is pretty advanced, and most small businesses can either leave it blank or assign any label to use as their store code to replace the “missing store code” item from the dashboard (at least for now – Google might have for plans for this later). Google has designed Google My Business to be easily self-managed by any small business owner. New features are constantly being added, so keep an eye on your dashboard. One new feature shows foot traffic to store locations. Businesses that see a lot of foot traffic might see the “popular times” information in the GMB knowledge panel. This feature gathers location data from smartphone users who have opted-in to Google’s location services. I expect this type of real-time information to become even more common in Google products moving forward. Questions? Leave em’ in the comments! Marketing Director at Navigator Multimedia Inc. Scott's favourite app is Spotify, and his tech/digital marketing heroes include Peep Laja of Conversion XL and Aaron Levie at Box. Thanks for the explanation about the “store code”! You’re welcome Kara! The google my business store code doesn’t come with much explanation when first getting started. Very informative blog. I really found this interesting because of mentioned key points i.e. brand, brand research, why it is important. All the key points are very efficient to support actual topic. i don’t have multiple branches, can i generate my own store code? May I use the names of the brands of products that I sell in my store, e.g. Nike. May I use these brand names in Google Ads or should I use ‘sneakers’ (generic)?